This review is for the Outdoor 52 series that Cambridge Soundworks had on sale last week for $99. I received my set of Outdoor 52 speakers yesterday and just completed my installation today. I am very happy with the quality of sound some these little speakers. I have them powered by zone 2 of my Onkyo TX-SR706 receiver. They are installed about 8 ft apart above my sliding patio door and at a height of about 9.5 ft above the ground. I have them pointing about 20 degrees down from the horizontal. I haven't decided yet if that's the optimum angle, but I am happy so far. 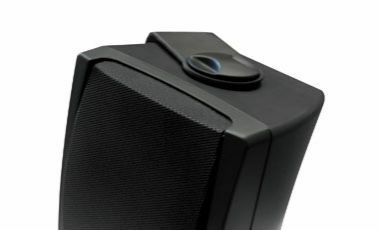 Certainly the speakers are too small to expect much bass from them, but they do churn out a good deal of mid-bass. The highs are clear and the speakers sound a little bright on axis compared to my Polk Audio R50 (indoor). With that in mind, I've listened to them off axis and the overall tone is enjoyable. They are pretty loud and and sound carries well through my backyard without having to pump up the volume. Imaging is good. I expect to be spending a lot more time in the backyard now, thanks to these speakers. For the money, the are a great value. This review is for the Outdoor 52 series that Cambridge Soundworks had on sale last week for $99. I received my set of Outdoor 52 speakers yesterday and just completed my installation today. I am very happy with the quality of sound some these little speakers. I have them powered by zone 2 of my Onkyo TX-SR706 receiver. They are installed about 8 ft apart above my sliding patio door and at a height of about 9.5 ft above the ground. I have them pointing about 20 degrees down from the horizontal. I haven't decided yet if that's the optimum angle, but I am happy so far. Certainly the speakers are too small to expect much bass from them, but they do churn out a good deal of mid-bass. The highs are clear and the speakers sound a little bright on axis compared to my Polk Audio R50 (indoor). With that in mind, I've listened to them off axis and the overall tone is enjoyable. Imaging is good. I expect to be spending a lot more time in the backyard now, thanks to these speakers. For the money, the are a great value. Of course, I also expect that once they are run in, they will sound even better.